The test facility consist of a outdoor area of 22000sq m.
The test facility consist of 4 testplatforms each test platform can be used with forces up to 500 tons tension. 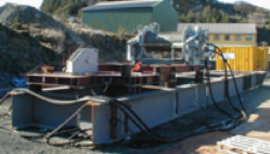 The facility can test objects with size up to 20m x 20m with loads up to 500tons. 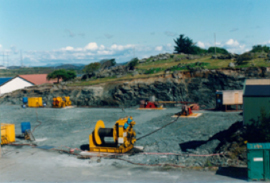 The test area gives us the possibility to simulate a lifting operation onshore. At the facility there is good electrical power and water supply. For testing up to 200 tons can be conducted indoor. 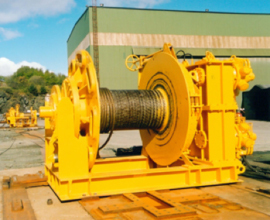 The equipment can be delivered full scale tension tested according to our customers requirement. We have also the possibility to certified and re-certified lifting equipment according to ”Arbeidstilsynet” rules or rules according to ”NMD” . NDT qualified personnel is also available. There is different types of testing machines. For pull testing, dynamic testing and cyclical- testing.